The airline said the pilot had immediately followed the standard operating procedures to return to Dhaka and that all passengers and crew landed have safely. KUALA LUMPUR: A Malindo Air flight from Dhaka has returned to Shahjalal International Airport due to a cracked windshield, according to the airline in a statement on Facebook on Tuesday. 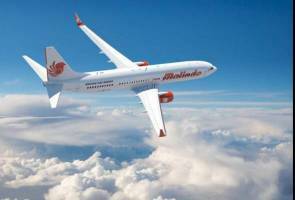 "Safety is always the top priority of Malindo Air, and the airline apologises for any inconvenience and delay caused due to this incident," said the statement. "The airline is working with airport authorities to provide all assistance and to ensure passengers and crew wellbeing are taken care of. Passengers will be immediately reallocated to other flights," the statement added. Meanwhile, in a separate incident last Sunday, another Malindo Air flight was forced to be diverted to Delhi, India after experiencing an engine failure. The flight OD132 was returning to Kuala Lumpur from Lahore, Pakistan about 9.25pm before it encountered technical problems. According to a statement by Malindo Air on Tuesday, the flight landed safely at the nearest airport, which was the Indira Gandhi International Airport. “All 75 passengers on board were safe and were given a night’s stay in Delhi airport hotel. Passengers were sent to Kuala Lumpur on OD206 & OD208 the following day,” it said.